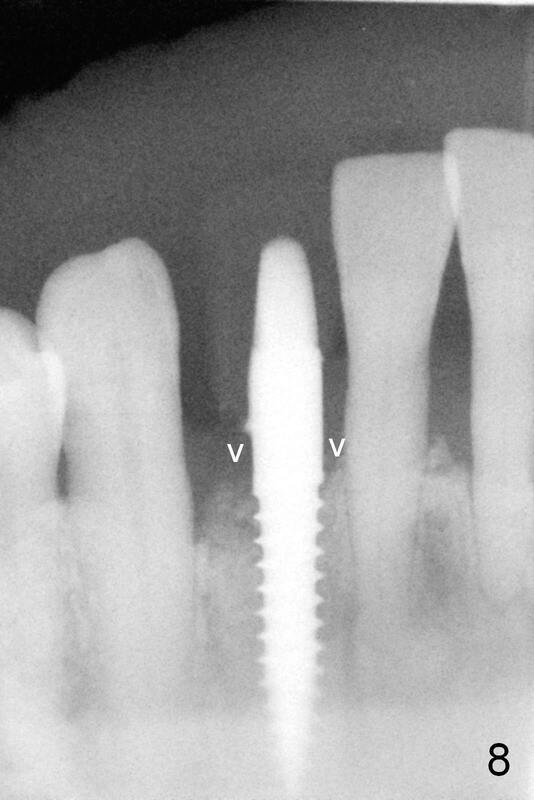 The patient returns for lower right and lower left quadrant scaling & root planing, extraction of the tooth #26 and immediate implant (Fig.1). 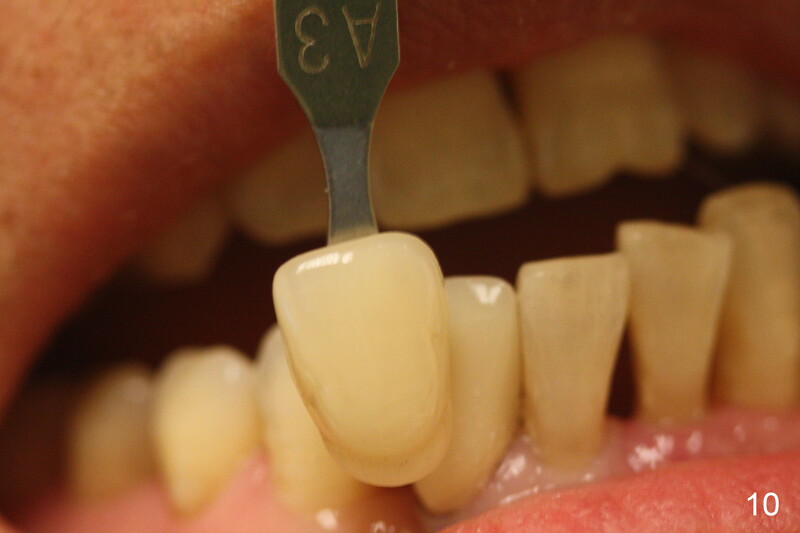 There is purulent discharge from the distal sulcus of the affected tooth (>). 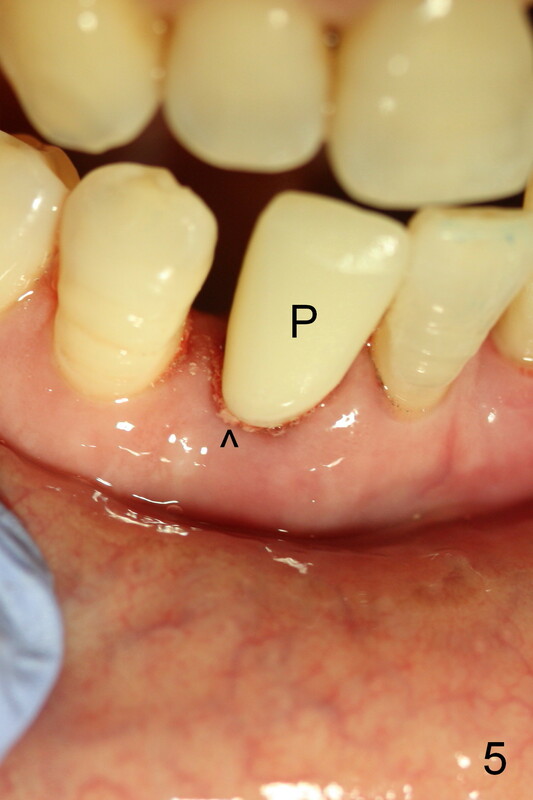 The mesiodistal space is excessively wide; it appears that a 2.5 mm implant is not indicated. 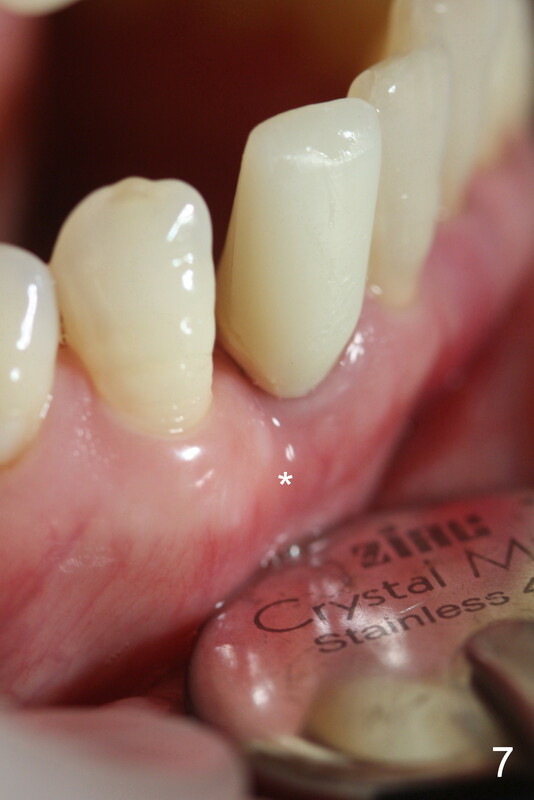 The first intraop PA, taken after placement of a 1.2 mm pilot drill, shows the uneven mesial and distal crests (Fig.2 arrowheads). 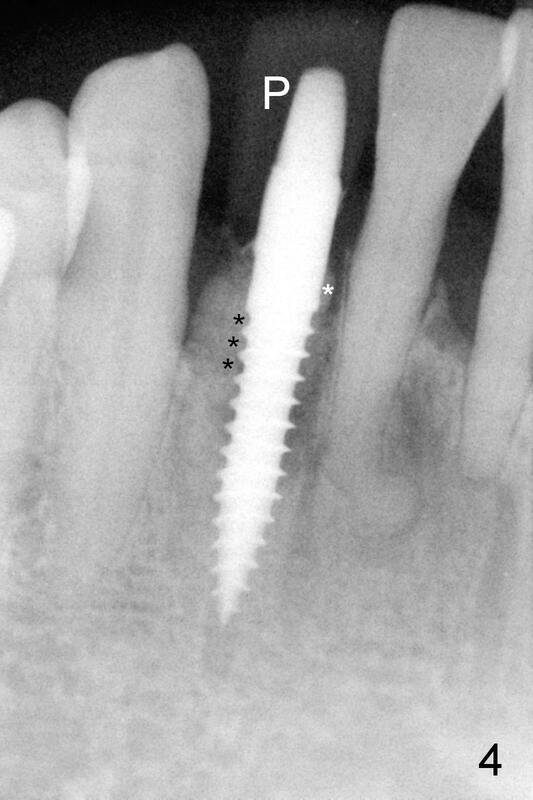 When a 3x14 implant (4 mm cuff) is placed with insertion torque >55 Ncm, its relationship with the mesial crest is ideal (Fig.3 white arrowhead), while the distal coronal threads are not contacted by the native bone (black arrowheads). Allograft mixed by Osteogen is placed in the remaining socket, particularly in the buccodistolingual gap (Fig.4 *). 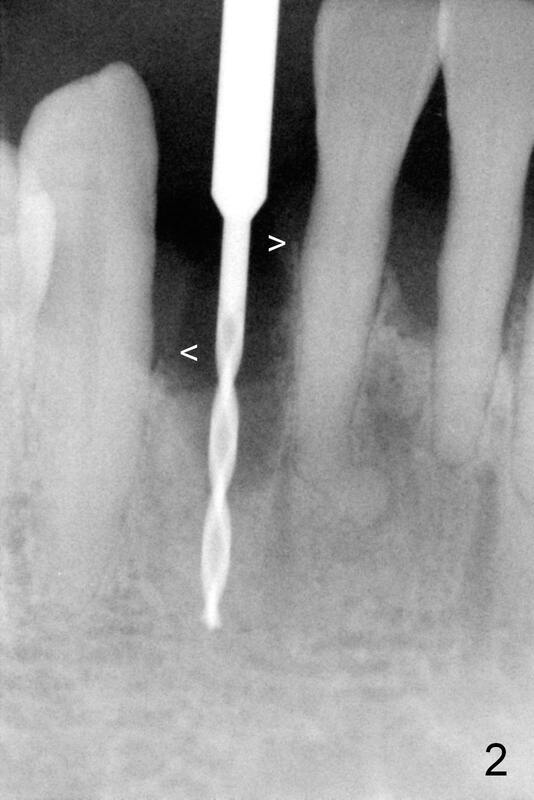 The distal coronal threads are covered. 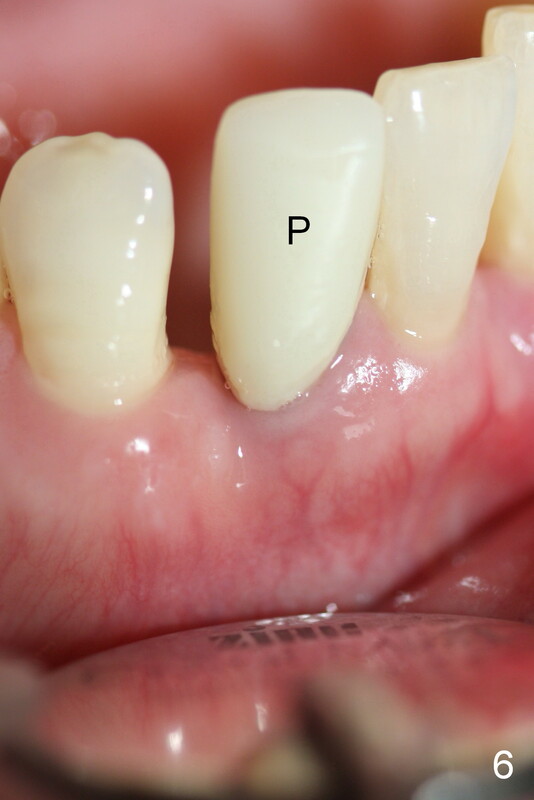 An immediate provisional (Fig.4,5 P) helps keep the graft (Fig.5 ^) in place. 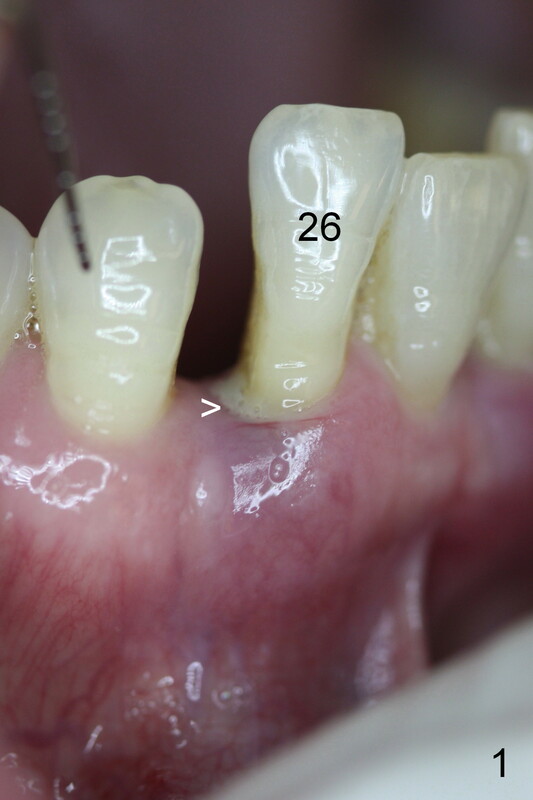 The gingiva around the immediate provisional is healthy 4 months postop (Fig.6,7 P). 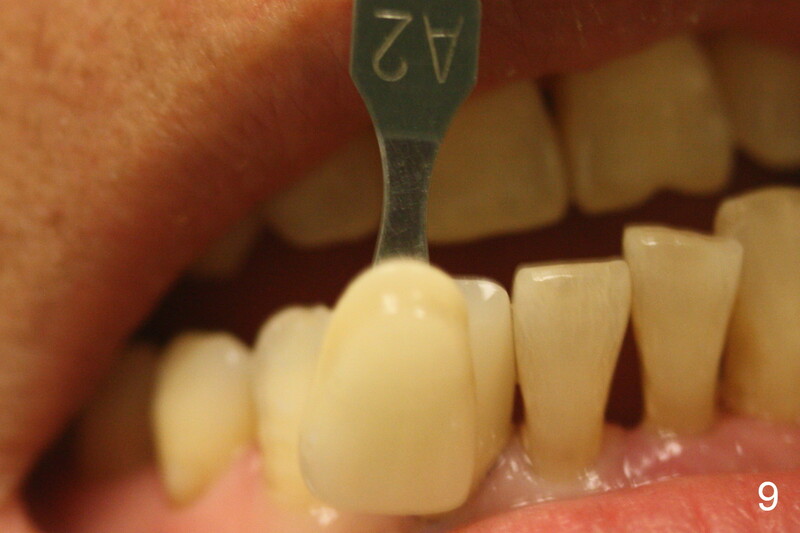 The mesial and distal crests turn out to be at the same level (Fig.8 arrowheads). 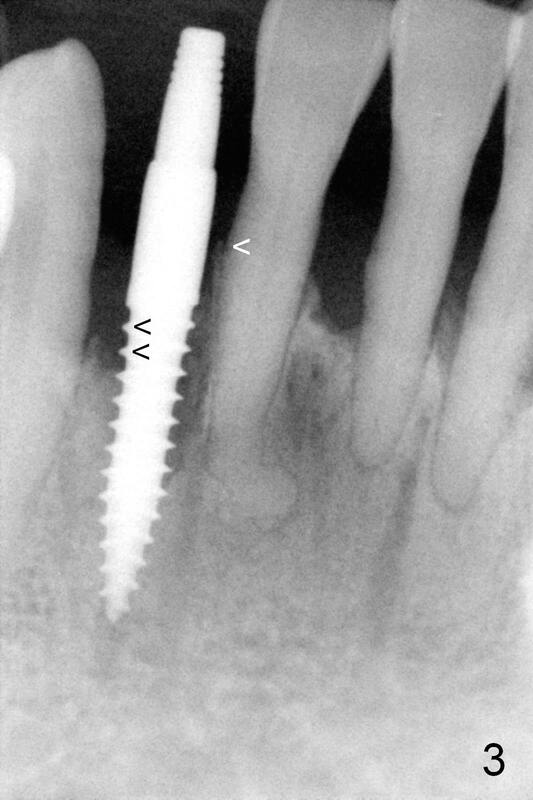 All of the implant threads are covered by bone.